Manufacturer of arc welding equipment, Miller Electric Mfg. Co. has expanded its ArcReach® remote control technology to engine-driven welder/generators. The equipment is now available on Big Blue 400, 500 and 600 Pro models. ArcReach allows for complete control of welding parameters at the point of the weld without the need for a control cord. 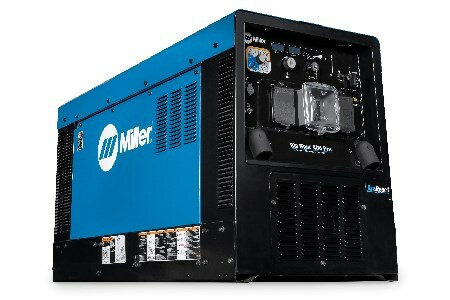 Moreover, adding ArcReach’s capabilities to select engine-driven welder/generators in the Big Blue family of products allows for greater flexibility and fleet compatibility. The same accessories that can be used on ArcReach-equipped XMT® and DimensionTM power sources can now also be used on select engine-driven equipment. Thus, companies can expand their use of the technology using their existing accessories. In addition, legacy wire feeders and remotes will continue to work with the ArcReach-equipped machines, thus allowing companies to fully utilise their existing accessories until they are ready to replace or upgrade. ArcReach accessories allow welding operators to remotely set up and make process and parameter adjustments for stick, TIG, MIG, flux-cored and advanced wire processes all at the weld joint. As well as the ArcReach expansion, the Big Blue 400, 500 and 600 Pro models now have a redesigned front panel, which includes a customisable service interval reminder and a USB port for uploading software and downloading machine usage data.